The first frost brings a measure of relief for allergy sufferers. Ragweed is no more, as well as the blowing leaves that stir up molds and other allergens. But when the holidays arrive, there will be a new round of allergy triggers to keep your child coughing and sneezing. Holiday foods. Take precautions at holiday gatherings. Find out what’s in the dish your child wants to try, ask about the possibility of cross-contamination and take along some an allergy-safe dish or some snacks just to be certain. You may even want to prepare a meal for your child ahead of time. Go artificial. 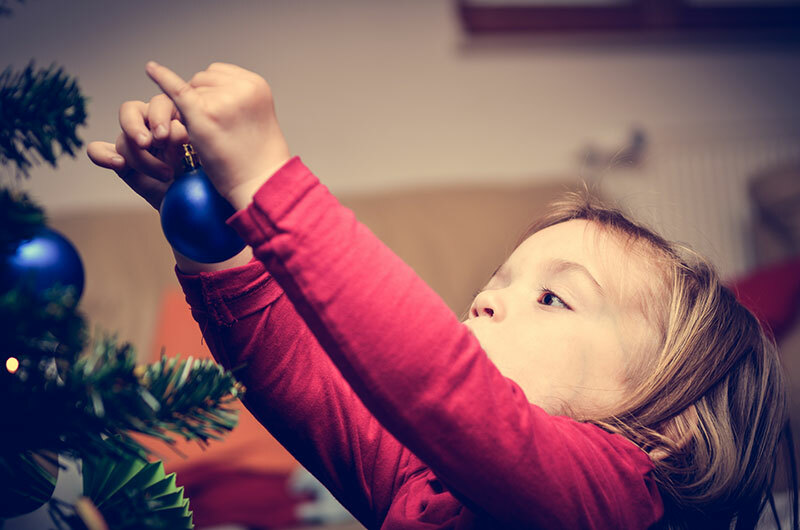 Christmas trees can present a host of challenges for children with allergies and asthma, from the fragrance to microscopic mold spores. But not completely artificial. Pine fragrances and other scented sprays could irritate your child’s lungs and trigger an asthma attack. Fake snow or flocking can also be a problem. The “Thanksgiving Effect.” Consider taking your pets with you on your holiday trip. If you leave your pets behind, your child could lose his tolerance to them by the time you return. Avoid stress. During times of stress, the body releases chemicals that can cause the muscles around the airway to tighten, making it difficult to breathe. Be prepared with allergy and asthma supplies. Even if you take every precaution, there’s still a chance your child could have an allergic reaction. If she uses auto-injectable epinephrine, have it handy. Other supplies may include a box of tissues, inhalers and allergy medications (as prescribed or recommended by your child’s doctor).